Cassette, in an edition of 500 copies. Received and recorded in Brooklyn, Chicago, Gothenberg and Stockholm between 2006 and 2010. Equipment used: analogue synthesizers, effects and computer. Programme repeats on both sides. This cassette was mastered by BJNilsen. Joachim Nordwall runs iDEAL Recordings and is a member of Skull Defekts and Alvars Orkester. 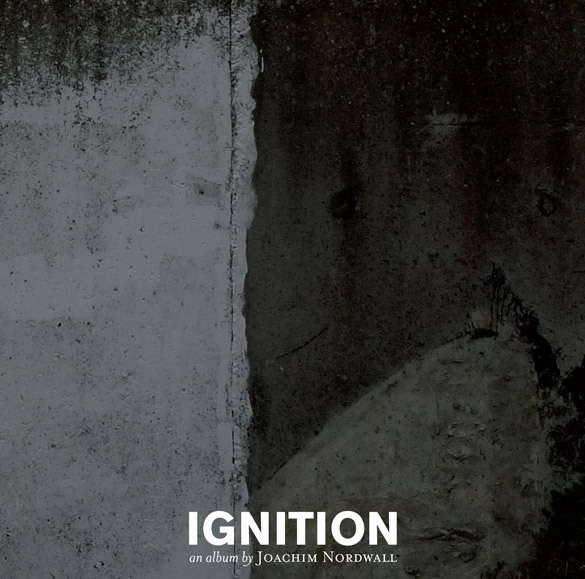 As with this week’s BJ Nilsen release, our enjoyment of this Ash International cassette edition from electroacoustic artist Joachim Nordwall has been somewhat hindered by our current shortfall in cassette player access. Not to be entirely deterred by this setback, we can still relay a few details for you: Nordwall is the man behind the excellent iDEAL Recordings imprint as well as being a member of celebrated noise band Skull Defekts and this cassette version of new work Ignition is limited to a mere 500 copies, although a CD release is scheduled for later in the year. “Received and recorded in Brooklyn, Chicago, Gothenberg and Stockholm between 2006 and 2010. Equipment used: analogue synthesizers, effects and computer. Programme repeats on both sides. This cassette was mastered by BJ Nilsen.” Limited to 500 copies.